In regards to this week's child abuse scandal at Penn State University, Governor Tom Corbett has said, "...we must keep in mind that when it comes to the safety of children, there can be no margin of error, no hesitation to act." 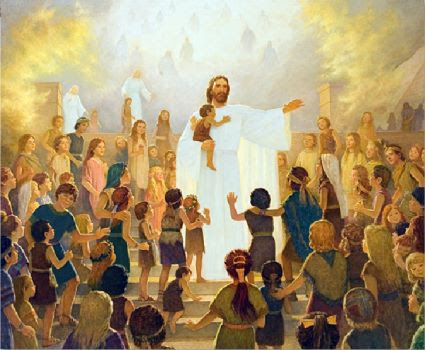 In the Book of Mormon, Christ told the people of the ancient Americas to: "Behold your little ones." The scriptures record that Jesus wept, then he took their little children and blessed them, one by one, and prayed unto the Father for them. Do we need a clearer demonstration of how all of the children of the world deserve to be treated? How different would the outcome of this life be, if each of us decided to actively "Behold our little ones?" To behold them, to really consider their needs, also to hold them, to bless and pray over them and to do it in their presence? The children of the world need real heroes now more than ever. Will you be one of them? ChildLine is a confidential child abuse reporting line. Click here to find the child abuse hotline in your state. Thanks for posting this. The Penn State mess has been such a sad, sad story. Sometimes I feel troubled by the events of this world. Thanks for the reminder of the example we have in Christ. Wow Jocelyn - timely and WELL said. (love the picture that goes with this post too.) I'm with you all the way on this. Such a disturbing story, isn't it? I can't believe they were all so cavalier about it. This was a timely post. Thanks for sharing your thoughts. 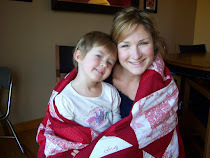 Children are such a blessing and need to be protected from evils such as this. Blessings to you for sharing these thoughts. I feel exactly the same way. Thanks for the post.